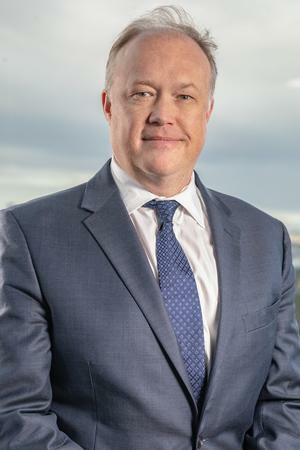 Charter joined the RMG Group of Stifel in 2019, reuniting with many of the same high-quality people he started working with when he began his investment career at Ragen MacKenzie Inc. in 1993. Charter learned much about the old school art of value investing and the management of equity and fixed income portfolios from legendary analysts and advisors of that time, including his father, George Harrison. George retired in 2000, which was the same year that Ragen MacKenzie was acquired by Wells Fargo Investments (now Wells Fargo Advisors). Charter later joined McAdams Wright Ragen in 2003, where he continued working after the firm’s merger with Baird until 2019. Charter acquired the Certified Portfolio Manager (CPM) designation from The Academy of Certified Portfolio Managers, which held its classes at The Fu Foundation School of Engineering and Applied Science at Columbia University. The CPM designation complements his traditional approach to modern financial concepts and strategies. Its methodology involves assessing risk and potential return factors to justify a particular investment in a diversified portfolio. Charter provides individuals, families, businesses, foundations, and endowments with time-tested investment guidance and personalized asset management. He listens to and understands his clients’ needs in order to help select investments aligned with those needs. He seeks to incorporate sector- or strategy-specific sleeves with a diversified and customized model portfolio that focuses on value, growth, and local northwest companies that complement balanced fixed income or cash flow ideas that are suitable for taxable or tax deferred accounts. Charter and his clients are fortunate to be working with Karen, who has been with the RMG Group since 2014. Similarly to Charter, Karen began her career with Ragen MacKenzie and then moved to McAdams Wright Ragen in Bellevue prior to joining Stifel. She supports Charter in addressing a variety of client account issues and delivering top-tier, personalized service. A Washington native, Charter graduated from The Overlake School in Redmond and earned a B.A. in Finance from Seattle University. He is active in his community and serves as president of the Kiwanis Club of Seattle, which is celebrating 100-plus years of helping kids in need. He also served as treasurer of The Kiwanis Club of Seattle, past president and past treasurer of the Seattle Bond Club, a past board member of Atlantic Street Center, and is an owner of Crystal Mountain Hotels. Charter lives with his family in the Leschi neighborhood of Seattle and is a member of the Seattle Tennis Club. He enjoys skiing at Crystal Mountain, water skiing and wake surfing at Lake Washington, playing tennis, golfing, and biking.